Kerry Alan Denney will be signing and selling copies of SOULSNATCHER at Wizard World Nashville Comic Con Saturday, September 27th, 2014! Come on out to Music City Center in Nashville, Tennessee Saturday September 27th for the Wizard World Comic Con and meet Kerry. He'll be happy to chat with you, sign your copies of SOULSNATCHER, and tell you all about Permuted Press's forthcoming February 3, 2015 publication of his post-apocalyptic sci-fi thriller JAGANNATH... and while supplies last, he'll be giving away a free SOULSNATCHER tote bag with each purchased copy of his book. Don't miss this exciting event! Purchase your pass HERE now, and stop by the Permuted Press booth and say hello! 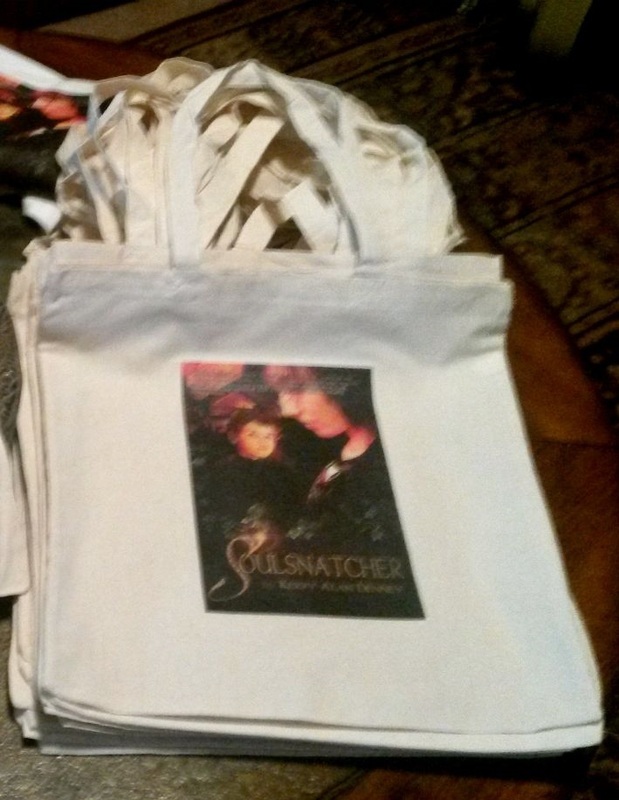 1 FREE Soulsnatcher Tote Bag with each purchase!